Lightweighting has become a buzzword for many industries, whether driven by the need to reduce energy consumption or the rise of device portability. 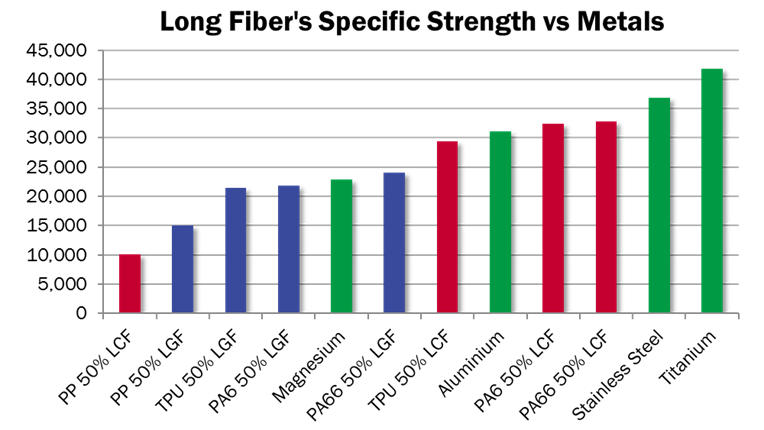 Engineers often face the dilemma of having to choose materials that potentially compromise performance in order to achieve mass reduction goals. 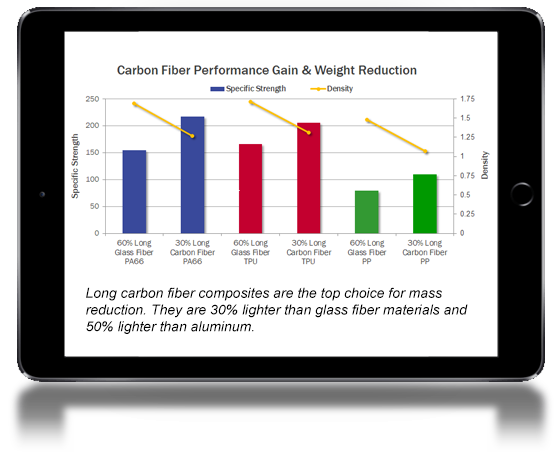 Enter carbon fiber – strong and lightweight, long carbon fiber reinforced composites provide significant weight reduction and the best strength and stiffness performance available in reinforced thermoplastics. 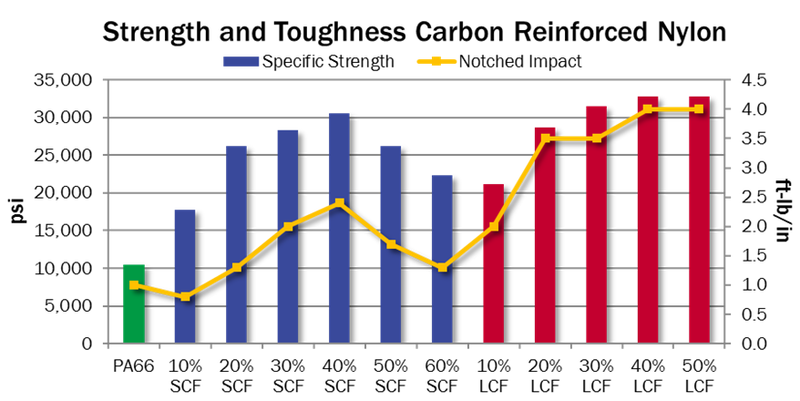 Carbon fiber’s advantages extend beyond lightweighting, its extensive use in aerospace and other advanced industries has given it a “high-tech” perception with consumers – which you can leverage to up sell products or create differentiation from competitors. 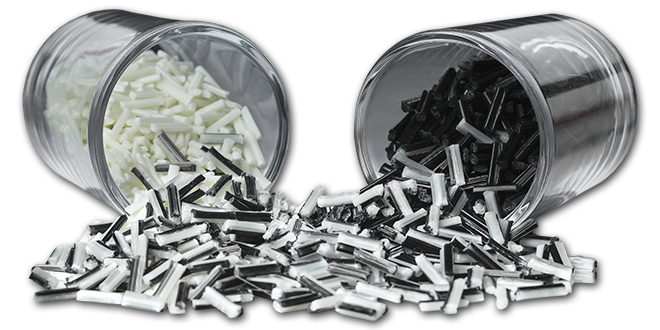 Complēt long fiber composite pellet products are available in any resin from PP to PEEK as part of our material customization capabilities to meet specific performance requirements.